We will be presenting $155,000 in grant funding to 28 local organizations! The Campbellford/Seymour Community Foundation is pleased to present grant funding for 28 projects totaling $147, 637.51. 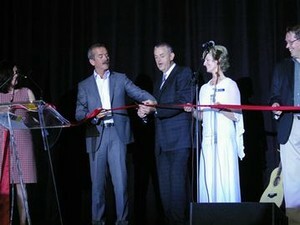 CSCF brings Col. Chris Hadfield as the guest speaker for the Field House Opening Celebration in Hastings.